We have been very lucky the last two weeks at KP. 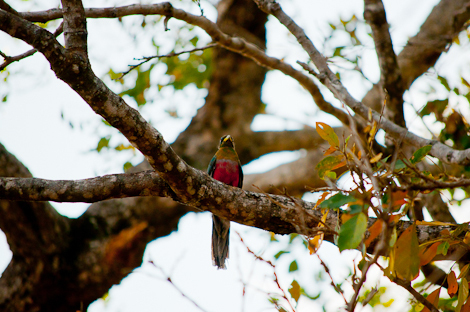 A Narina Trogon has taken up residence around the mess and swimming pool, and we are seeing it almost every day. 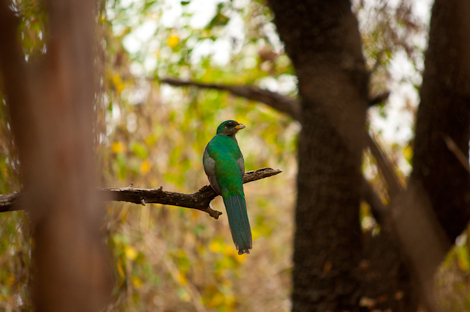 These stunning birds are shy, and have a tendency to sit quiet and still in the undercanopy, rendering them very difficult to see. Hopefully it will stick around for a long time to come.